Surprise! Ice cream tops our list of low-calorie snacks. The key is to look for slow-churned or double-churned varieties. This refers to a process that reduces fat and calories while retaining the creamy texture of full-fat varieties, so 1/2 cup has just 100 calories. As a bonus, you’ll get some protein and calcium. When you want a large snack with a small calorie count, popcorn delivers. Some microwave brands have just 100 calories in 6 cups. It's also high in fiber, which can help you stay full longer. Cottage cheese is a protein powerhouse, with 1/2 cup delivering 14 g. Like fiber, protein can help you stay full longer. Enjoy low-fat cottage cheese plain or with a side of fruit. 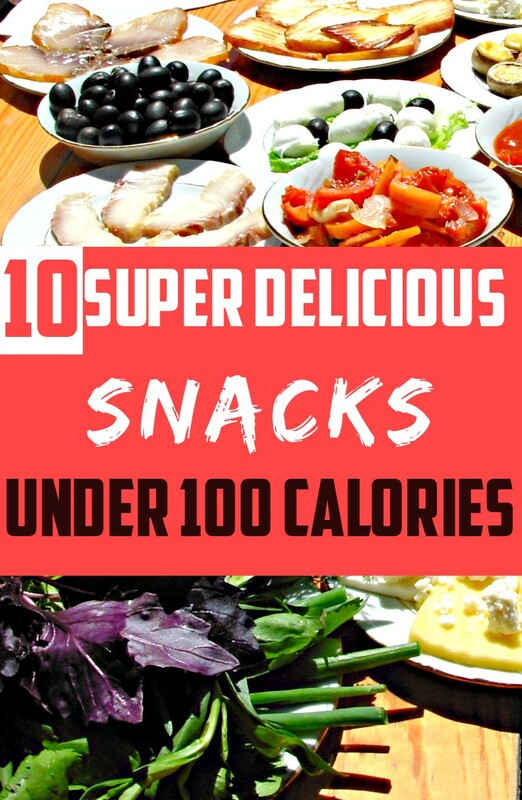 A small wedge of cantaloupe brings the total calories to 100. When the munchies strike while you're on the go, there are few things more convenient than nuts. You can eat 14 almonds without hitting the 100-calorie mark. Plus, they're rich in fiber and protein, which help keep hunger at bay. Apples are still one of the healthiest snacks around, and there are plenty of ways to put a twist on this old standby. You can even sprinkle cinnamon on top without adding calories. A fruit smoothie offers a scrumptious way to get in some extra calcium and antioxidants during your day. Try blending 1/3 cup of nonfat yogurt with 2/3 cup of frozen blueberries and ice. Snacks that take more time to finish are often more satisfying. Mixing sweet with salty is a tried and true way to satisfy the munchies. Measure 3/4 cup of apple slices and spread a thin layer of unsalted peanut butter on each slice. To stay near the 90-calorie mark, don't use more than 2 teaspoons of peanut butter in all. Stir a teaspoon of sunflower seeds into 1/2 cup of nonfat plain yogurt. The seeds add plenty of texture but only 19 calories. The yogurt is a good source of protein, and the entire snack has less than half a gram of saturated fat. Make sure to use unsalted sunflower seeds, especially if you are watching your sodium. Nonfat frozen yogurt is a healthy alternative to ice cream, and it's easy to find varieties with no added sugar. Try making a "FroYo" sandwich by spreading two tablespoons of nonfat frozen yogurt between two graham cracker squares. Even with chocolate frozen yogurt, you're only looking at 84 calories. For a savory snack under 60 calories, spread 1 tablespoon of low-fat cream cheese onto a slice of smoked salmon (lox) and roll it up. This salmon pinwheel is high in protein and heart-healthy omega-3 fatty acids, though the salt used to cure the salmon boosts the sodium content. Use a little less cream cheese and you can have two pinwheels for under 100 calories.